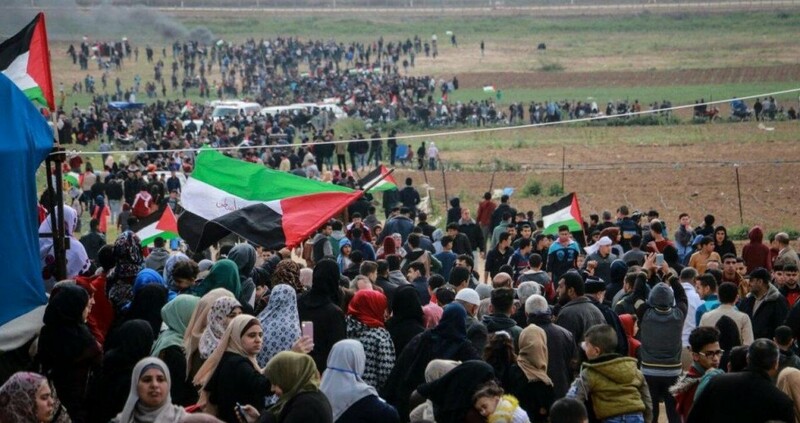 Thousands of Palestinians flocked after Friday prayers to Gaza border with the Zionist settlements, protesting against the blockade imposed by the enemy on the Strip and stressing their right to return to their occupied land. It is worth noting that the Gazans have been holding the Return Protests for 43rd consecutive weeks amid the Israeli intensifying assaults. Dozens of Palestinians were injured today by the Zionist occupation soldiers who deliberately fired live bullets at the upper parts of the protestors’ bodies.